In Florida, all of these offenses are considered to be non bondable, meaning that those arrested for these crimes are not granted the opportunity to be released from jail until the judge decides their fate, unless the defense files a motion for an Arthur Hearing, otherwise referred to as Bond Hearings. A Bond Hearing is a procedure for those accused of committing a capital felony in which the defense can present their case to prove that either a) the charges do not come with enough evidence to prove their guilt or b) that the defendant is not a danger to the community at large nor do they risk flight. Bond Hearings resemble a scaled-down version of a trial, except the decision is entirely up to the judge without a jury of the accused’s peers. After examining the arguments of both the defense and the prosecutor, the judge will decide whether the defendant is worthy of a bond, and if so, how much it will be set for. It is very important that those charged with non bondable offenses hire an attorney so that they can file a motion for an Bond Hearing. If the defendant accused of committing a capital felony is released on bond, it gives them a chance to make positive strides while out of jail and it cleans up their image. A defendant who comes into court dressed professionally with a lawyer looks a lot better than an inmate in an orange jumpsuit accompanied by a lawyer. The burden of proof is on the State in these cases, and in order to retain the “no bond” status, the State must establish that “proof of guilt is evident and and the presumption is great.” This is a higher standard than beyond a reasonable doubt, used in criminal proceedings. The implication is that the evidence against the defendant is so strong that there’s essentially no point to granting them bond because there is a very high chance that they will be found guilty and put right back in jail. If one of your friends or family members was recently charged with a non bondable offense, call Broward County Bond Hearing attorney Richard Ansara and associates of The Ansara Law Firm as soon as possible to discuss their options and request a Bond Hearing to get them out of jail and proceed with their defense. Everybody deserves a fair and balanced trial, and having an Bond Hearing is the first step towards a fair trial when a defendant is charged with a capital felony. Our firm has represented clients in Bond Hearings many times, often successfully persuading the judge to release them from jail on bond. 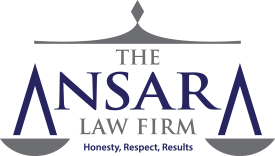 For high quality legal representation in Broward County, call The Ansara Law Firm today. If any of your loved ones were recently charged with non bondable capital felony, call The Ansara Law Firm immediately at (954) 761-4011 to schedule a Bond Hearing.